Ming Sherap Drops A Music Video Because "Moi Life, Moi Choice, Moi Rule"
Hey, Ming Sherap. Why exactly did you release this music video? Yeah, damn right! You gotta do what you wanna do. 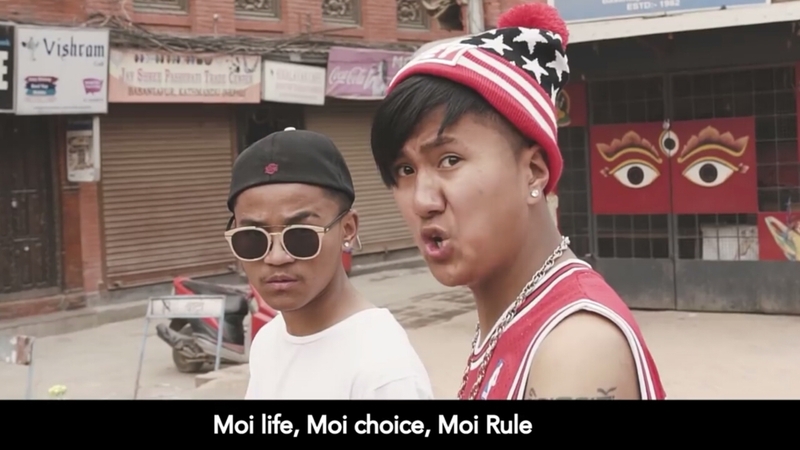 One of the funniest Nepali YouTubers in the scene right now, Ming Sherap gave his fans a sweet surprise earlier this week on Monday when he dropped a music video, a legit music video for an original song – FOR REAL. The satirical song he calls a “diss track” directed to the “swag people who wear crazy clothes” is not your average diss track where he says stuff to the people he is attacking. Instead, he himself has become a person with “swag” who roams around the city singing “Swag Kta Moh” in the music video produced by 4 AM Production. Written and sung by Ming himself, the song has a beat produced by Ness Studio. Even though it’s more like a parody song — which can totally be titled as “Every Rap Video Ever” – it has become more popular than most of the legit songs that have been released recently. The video has garnered over 375k views in less than 48 hours. We won’t be surprised if it becomes his first video to hit the 1 million milestone. Ming Sherap, who mostly shoots and edits his videos with his phone, started putting videos on YouTube in May 2017. Within eleven months, he has earned over 164k subscribers on his channel; and his 23 videos (so far) have been watched over 8.5 million times. That’s the kind of success very few Nepali YouTubers have earned so far. Way to go, boy!